Paul Chelimo thought he was doing a celebration interview. 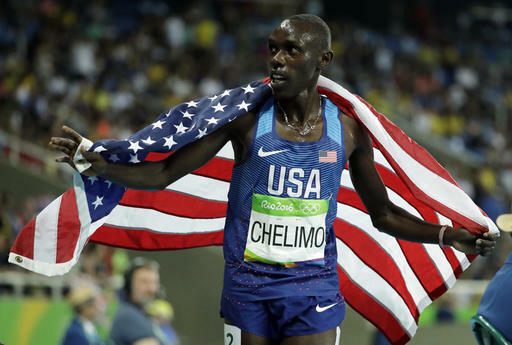 Chelimo learned during an interview with NBC after the men's 5,000-meter final at the Rio Games on Saturday night that he in fact was not a silver medalist _ and that he was part of a slew of disqualifications from the event. Three runners were tossed in all, the results moving Bernard Lagat of the U.S. from sixth to third. "I can't believe it right now," Chelimo said in the televised interview, after reacting in clear disbelief when thinking that his medal was gone _ which, for a bit, was true. "I was running a fair race. I wasn't trying to impede someone." Fans on Twitter reacted quickly, some questioning the way Chelimo was told about the ultimately erroneous DQ, others about the quickly overturned decision itself. Chelimo said he was getting blocked while trying to go to the outside, instead of the other way around. In the end, judges apparently agreed.